Preheat oven to 200°C (400°F). Place the jelly, mustard, apple juice, vinegar and salt in a saucepan over high heat and whisk to combine. Bring to the boil and cook for 14–16 minutes or until thickened slightly. Set aside and allow to cool. Carefully remove the skin from the ham using your fingers. Score the fat of the ham in a diamond pattern with a small, sharp knife. Cover the hock with aluminium foil to prevent it from burning. Place the ham on a lightly greased wire rack in a baking tray dish, brush with the glaze and stud each diamond with a clove. 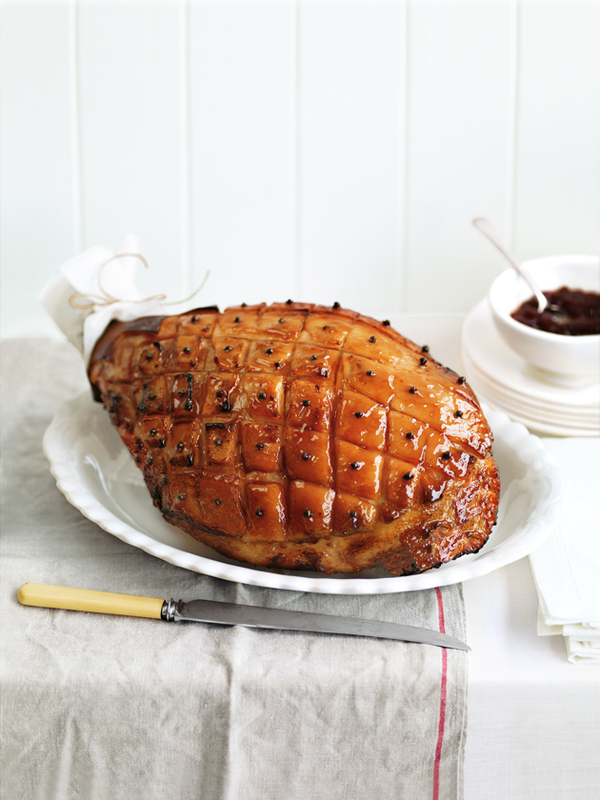 Bake for 35-40 minutes, brushing with the glaze every 10 minutes, or until the ham is golden and caramelised. Serves 8–10.